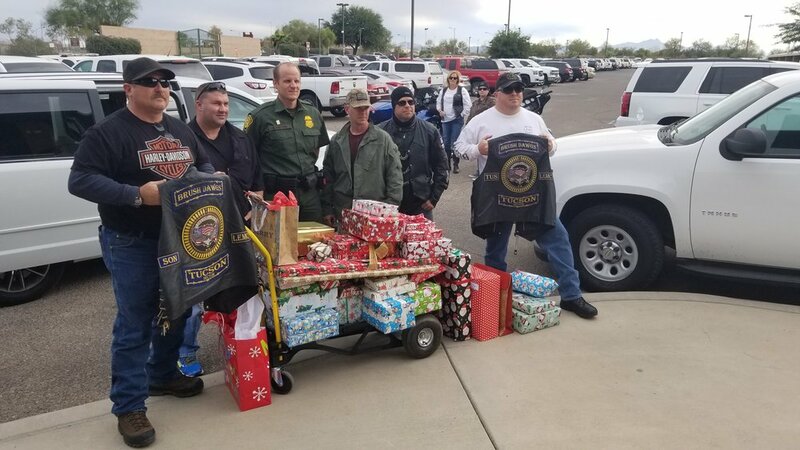 As an integral part of our charity, every year the Fallen Agents Fund Christmas present drive brings cheer and hope to the children of fallen Border Patrol Agents. 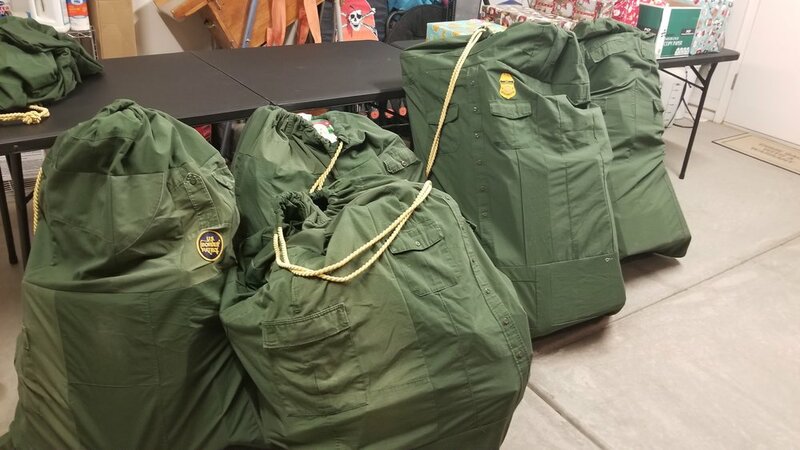 During the beginning of the Holiday season, Christmas trees are placed at selected Border Patrol Sectors and Stations. Each tree has tags with the names of children of fallen Border Patrol Agents. 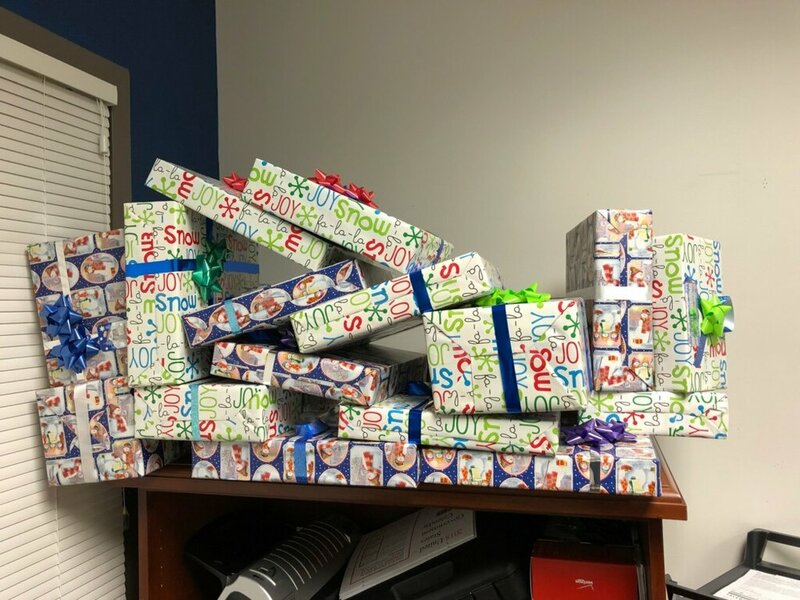 Agents are encouraged to take a tag and purchase gifts for the children. 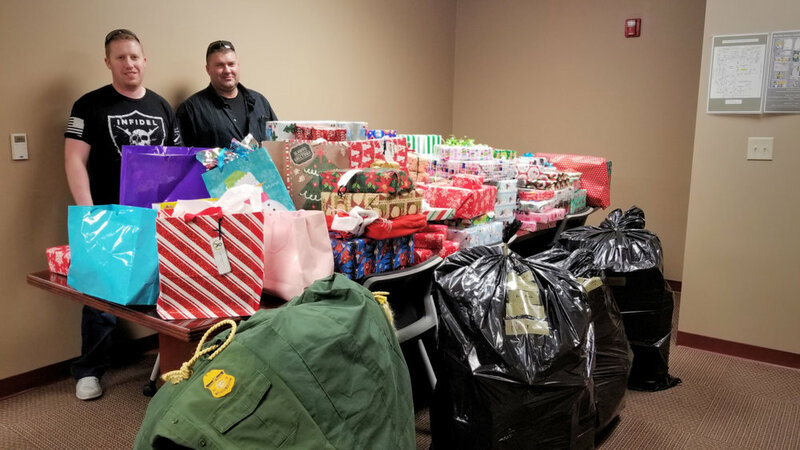 Last Christmas, the Fallen Agents Fund staff collected more than 400 presents that were given to 80 children of fallen Border Patrol Agents. We would like to thank everyone who gave last year, whether it be in presents, time or money. 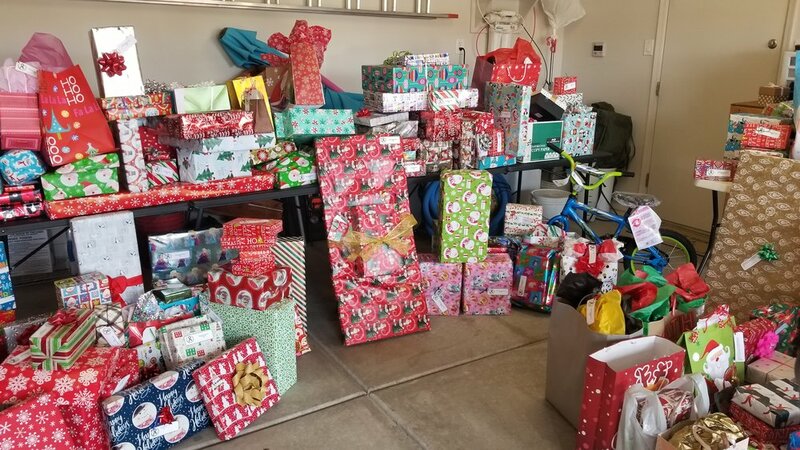 We look forward to next year's drive. If you would like to see the present drive in action check out the videos below. Nothing beats getting extra presents for Christmas. My heart is filled with so much gratitude for your kindness and for remembering my daughter, Evangeline. 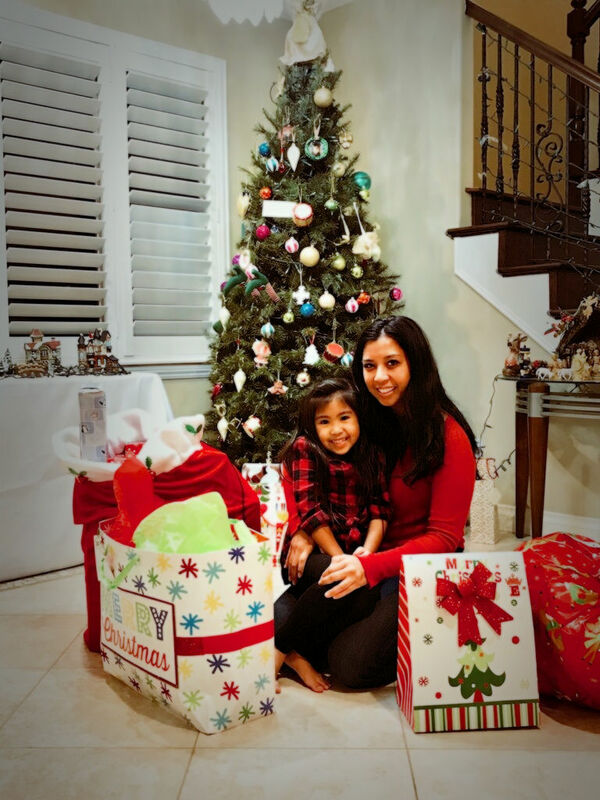 We received the gifts from your "Christmas in July" celebration and most recently for the Christmas holiday and it truly brought so much joy to our home. I know amid pay cuts, schedule changes, and overall government changes enforced on the BP agency, charity for children of fallen agents is not always on the top of your priority list, but I want you to know, your thoughtfulness has helped make the days a little brighter for us. For those of you who did not know my husband, Kris, he was a graduate of BP class 860 and was stationed in El Centro since 2009. Prior to that he served as a CBP Agent in San Y Sidro. While his time in uniform may have been short, his love for the job and loyalty to his colleagues always remained a top priority for him. Kris' fellow Agents were truly a second family to us and your support continues to show long after his passing. I want you all to know our gratitude goes far beyond the material gifts. Your acts of support and kindness convey Kris' personality and generosity, and that is the message I want Evan to learn from our BP family. She unfortunately only had 5 short months with Kris and will not have memories of her own, but because of you, she will know her father and the type of agency he represented. Once again, from the bottom of our hearts, thank you! If there is ever anything Evan and I could do to show our love and support for the agents, please do not hesitate to reach out to me.